Five Bedroom, Three Bathroom brick ranch, fully finished basement located close to Johnson And Wales University, Stapleton and Lowry. Ideal for VRBO, Air BnB or care free tenants . Farmhouse Kitchen updated with newer appliances. Gorgeous Hardwood Floors, Plaster Walls and Coved Ceilings. Three beds and 1 1/2 baths on a spacious main floor. Exceptionally large master bedroom has a 1/2 bath en suite. Two other main floor bedrooms all with ample double closets. Hallway for great flow. Full basement with new laminate floors. Family room with wood burning fireplace , office (non conforming bedroom), laundry , storage , full bath and conforming bedroom . Bedroom has a multi-function egress window. Oversized two car garage. New fence, spacious back patio, private dog run/ garden area. Lush landscaping with sprinkler system. 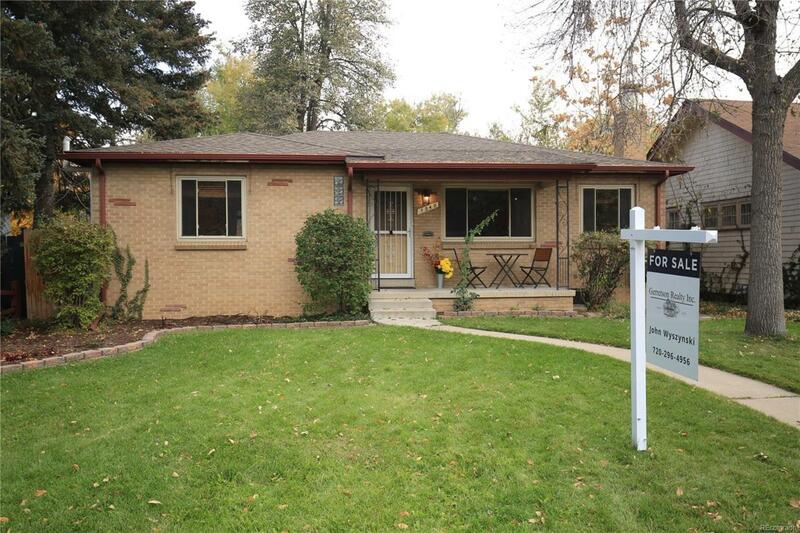 New: Carrier Furnace, Central A/C Ready, Hail Resistant Roof, Stainless Appliances. Offered by Gerretson Realty Inc.